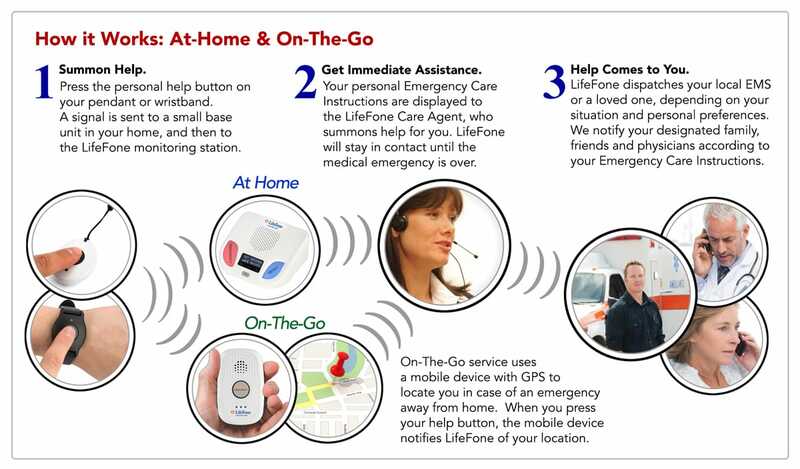 LifeFone’s At-Home and on the Go Emergency Response GPS Service works 24/7 both in your home and anywhere you go in the U.S., provided there is AT&T 3G cellular service in your area. With both a base station and a mobile device, it’s like having two systems for the price of one. You don’t need a telephone landline and you don’t need a cell phone. Both units work on the AT&T Cellular network, using our cellular service, not yours. There are no additional cellular fees; everything is covered with your LifeFone service. Easy to install – Just plug in the power cord to each unit, and you’re ready to contact us to complete your initial system test. This duo expands your total range in home: Placing the base unit and the mobile system in a different part of your home can provide signal coverage and voice range in the largest of homes. Up to 600 ft. of range from the base station. Up to 350 ft. of range from the mobile unit. 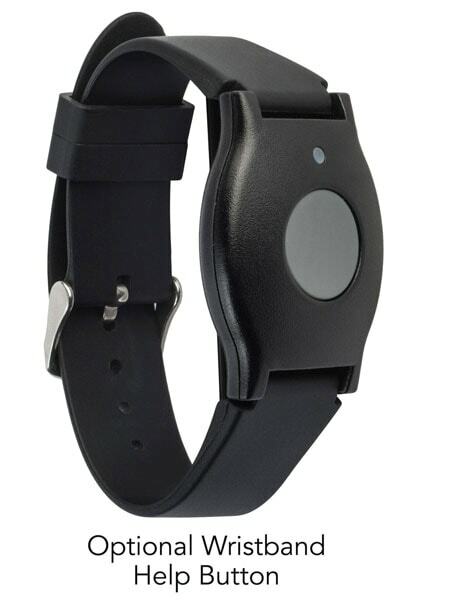 24/7 US-based monitoring for any emergency. Whether it’s a fall, a medical situation, fire, home intruders, or whenever you need help, we are ready to assist you. Waterproof pendant – Protects you in the shower, bath or swimming pool. Comfortable and Lightweight – Easy to wear. Base Station battery back-up power of up to 30 hours. Base station provides lighted display with time, date and ambient temperature. Mobile device charge of up to 24 hours and it works while resting in charger. Visual cellular strength notification for both the base station and mobile device. We will make daily outbound calls to the subscriber. Cost is $19/month. Tells subscriber what medication(s) to take and when to take it. Cost is $6/month. Tells you the location of the subscriber's LifeFone mobile device as needed. Cost is $9/month. This best-value option includes Medication Reminders and Notification Settings. 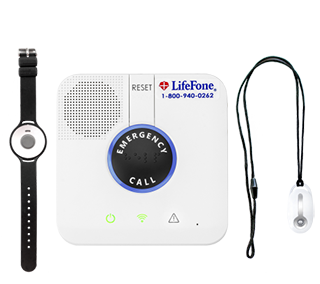 The LifeFone emergency response service provides a lifeline to security and offers independence for you and your family. LifeFone’s At-Home Fall Detection system is a step toward preserving your lifestyle without sacrificing safety. LifeFone also provides the most personalized response plan, helping to ensure the best outcomes in a medical emergency. Our unique Emergency Care Instructions allow subscribers and their family members to customize our response to fit their specific needs. Your LifeFone Care Agent will help you design the right plan for your needs, and as your situation changes so will your Emergency Care Instructions. The Emergency Care Instructions include your medical history, medications, allergies, physicians, family members, neighbors, your preferred hospital and more. The LifeFone system can easily move from one location to another, whether you relocate for a week or a season. A simple call to our emergency response center is all it takes to reactivate your system in your new location. 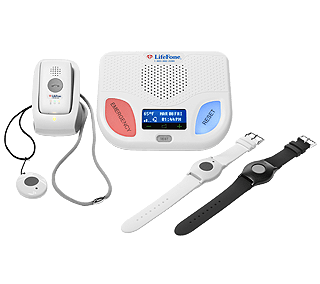 Medical Alarm Technology -- LifeFone's highly sensitive two-way voice base unit allows you to activate the system anywhere in your home up to 600 feet from the base unit by pressing your wristband or pendant. You can activate the mobile unit by pressing your wristband or pendant from up to 350 ft. Remember to always take your mobile unit with you and wear your wristband or pendant when you are on the go. 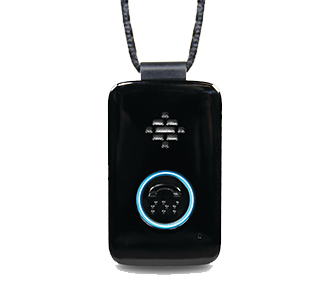 Waterproof Help Button -- LifeFone's small, lightweight fall detection pendant is easy to wear and use, and is monitored by the LifeFone Response Center 24 hours a day, 365 days a year. Because it’s waterproof, you can wear it in the shower. 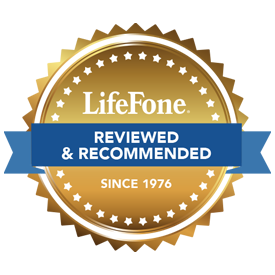 100% Lifetime Warranty -- Every LifeFone unit is backed by our warranty and your LifeFone equipment will be quickly replaced at no charge. Battery Back-Up -- In case of a power failure the LifeFone base unit's built-in battery will protect you for up to 30 hours. The LifeFone Response Center is automatically notified of the power failure, and will take action according to your Emergency Care Instructions. To call for help, Press your neck pendant, wrist button, red emergency button on your Base Station or your Mobile Device emergency button. An alarm will be sent to our response center through your Cellular Base Station. If you are able to speak, please provide your status to a caring and compassionate, trained Emergency Care Agents based in the U.S. Our Care Agents will confirm your location and review each emergency care plan to ensure we follow your wishes. Whether you need immediate medical help or just some assistance from a neighbor, LifeFone is there when you need it. 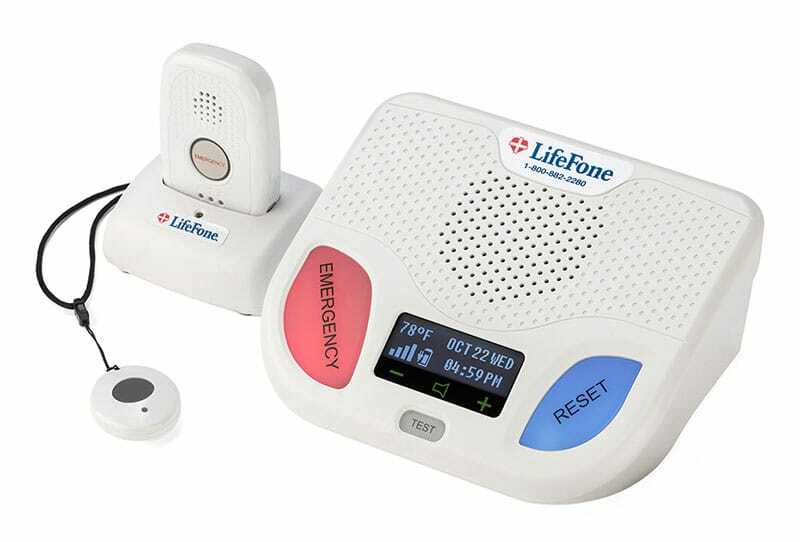 LifeFone's professional Emergency Care Agents are based in the United States and are on call 24 hours a day, 365 days a year -- reducing concerns about personal safety and helping to ensure early intervention and allow seniors to remain independent in their own homes. We provide caring service, security, and peace of mind to seniors, their families and caregivers throughout the United States. Using the latest in Personal Medical Alert and information technology, along with a personalized response, LifeFone’s emergency response services provide the best outcomes in emergency situations for you since 1976. As a result, LifeFone has earned the recommendation of hospitals, area agencies on aging, home health care providers, and geriatric care managers as an integral part of a customer's overall care program. Read more about LifeFone's Recognition.